Every day, Watch This offers staff recommendations inspired by a new movie coming out that week. This week: Fast & Furious 6 inspires us to look back on other vehicular action movies. Thunder Road stars Robert Mitchum as a moonrunner, one of the “wild and reckless men who transport illegal whiskey from its source to its point of distribution.” Night after night, he loads up the trunk of his 1950 Ford with moonshine and goes racing down the twisty roads of rural Kentucky. On the rare occasions that the Feds manage to catch up with him, he shrugs them off with laconic cool. He ignores the law and fights the gangsters who are trying to muscle their way into his territory; to the mob, moonshine is a lucrative criminal enterprise, but to Mitchum, it’s a family business. This is an outlaw ballad of a movie. Thunder Road was a passion project for Mitchum, an anti-establishment type who connected with the moonrunners’ independent, dangerous way of life. The actor came up with the story, produced the film, and even wrote the opening song. He cast his teenage son as the hero’s little brother (a role written for Elvis Presley, who wanted to do the film, but was blocked by Col. Tom Parker). In order to ensure authenticity, Mitchum even went so far as to buy the cars of actual moonrunners for use in the movie’s chase scenes. To direct the picture, Mitchum picked Arthur Ripley, who had started working under slapstick legend Mack Sennett, and was a prolific director of comedy shorts in the 1930s. (His W.C. Fields films The Pharmacist and The Barber Shop are both classics of the genre.) However, Ripley never successfully transitioned into features; like Mitchum, he had an independent streak, and after the shoestring noir The Chase (1946), he retired from Hollywood to teach at UCLA’s film school. Mitchum talked him into coming out of retirement, and the result is the director’s best work—a movie that works equally well as a character study, a community portrait, and a taut action flick. Thunder Road’s influence can’t be overstated. The film is reportedly the most-screened title in United Artists’ catalog; in parts of the South, it continued playing in drive-ins well into the 1970s. The stunt driving—by Carey Loftin, who would go on to work on The French Connection, Grand Prix, Bullitt, Vanishing Point, Duel, and Days of Thunder—is gasp-worthy. 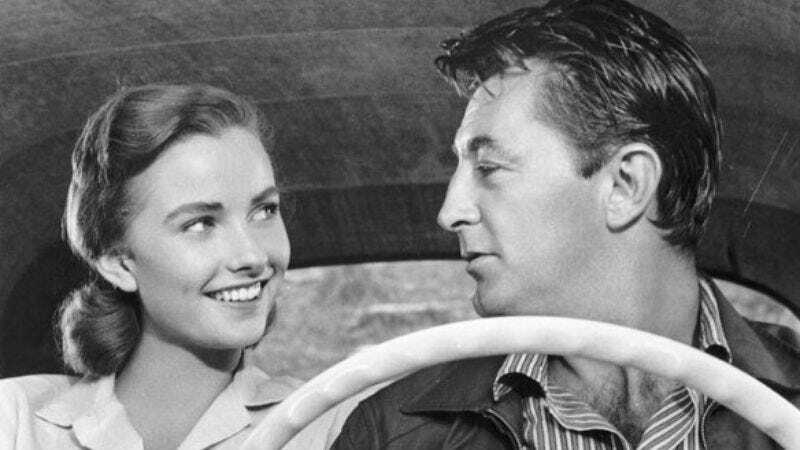 Combined with the film’s anti-authoritarian slant and Mitchum’s cool-under-pressure performance, it created the template for the American car movie. Availability: DVD and disc delivery from Netflix.